During 2017 the taxonomy of the Felidae family was assessed which resulted in many new proposals including a revised lion classification. Lions are the second largest wild cat in the world and the largest big cat in Africa. Adults weigh over 100kg and males are far larger than females. 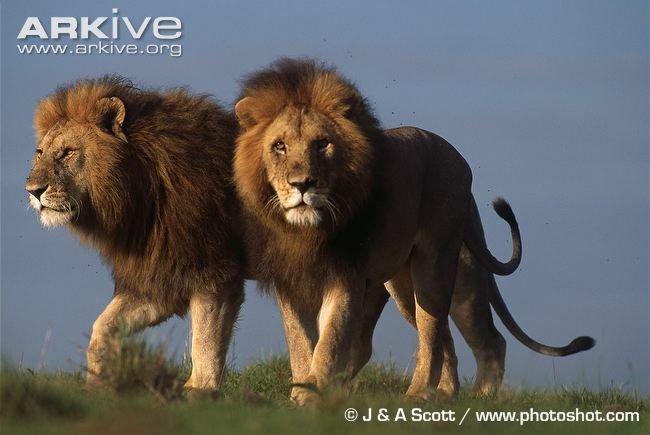 Males grow a large mane of hair and as such lions are the only cat species that display sexual dimorphism (genders have physical differences). Lions are also the only wild cats to have tufted tails. Historically lions occurred both in sub-Saharan Africa as well as in the north from Northern Africa into Southwest Asia and into Europe. However only a remnant population remains in India of the original northern population, and present day populations only occur in pockets in and near protected areas in sub-Saharan Africa. 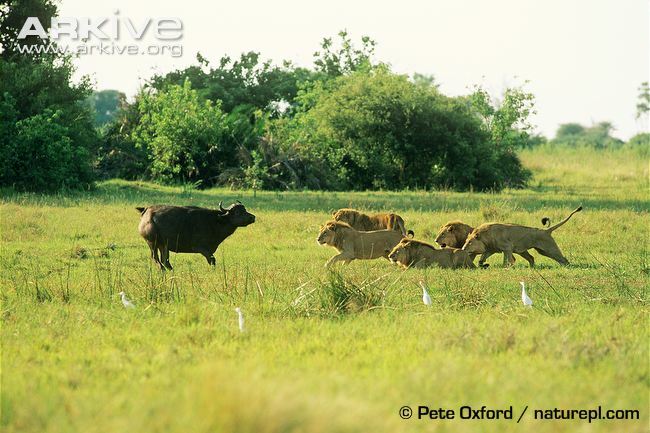 The most common type of habitat occupied by lions is the mosaic of open woodland and grassland savannas of East and Southern Africa, where they occur in their highest densities. However lions also occur in a variety of other habitats from moist open forests in Central Africa to semi-arid scrub in the deserts of south west Africa. Being one of the largest cat species, lions have the physical strength to hunt the larger antelope species as well as zebras and buffaloes. Smaller prey may be taken when prey are less abundant during leaner times. 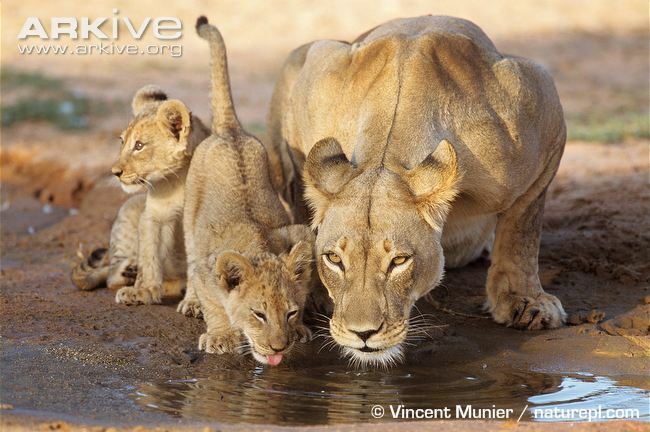 Most hunts involve the co-operation of a number of lionesses, however individual lions (male or female) can also take down smaller prey on their own. Lions are the only cats that live in social units called prides. Males and females live together over a number of generations with females tending to stay in the pride they were born into, but young males leaving to form their own prides. The sizes of lion home ranges (territories), their total area (range size) and therefore density depends on the available prey in the habitat they occupy. 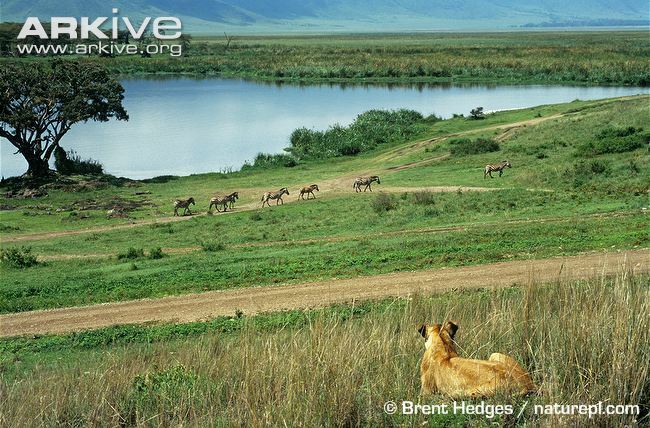 Dry regions with low prey density require lions to forage much wider to encounter prey compared to moister habitats with abundant prey. 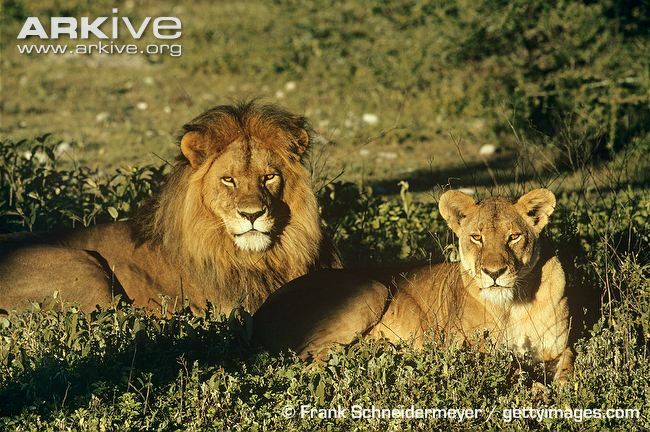 Hence lion densities across Africa vary widely due to the wide variety of habitats that lions occupy. The breeding cycle of lions can vary depending on a number of factors, including whether prey are resident or migratory. Even though juveniles become sexually mature between 2 and 3 years of age, females usually only breed around 4 years old and males at 6 years old, again dependent on many conditions such as the numbers of other mature male lions in the population. Natural mortality of males from fighting or hunting tends to be higher than females, often occurring during the dispersal period. Lion Facts Reference: Wild Cats of the World by Luke Hunter (2015) based on the latest scientific research.